I'm currently working a dead end job but for a good company. Looking to change my lifestyle, hours etc. Six kids all young adults 4 in college, 2 in the military. I reside in WV, I'm 53 years old. I drove a dump truck back in the 80's for Montgomery County in Md. Right now is a good time to make a change and get on with my life without the kids. My wife works shift work, and to be honest, fairly sure shes not looking forward to the next year. If I can swing it I'd like to go to trucking school up here, that would allow me to stay close to home for an extra 3 months, at least I beleive thats how long school is. Thats about me in a nut shell. Just read some of the replies on G Towns post. As a student leaving a private schooling James Rumsey its a bit over whelming with the twist and turns of finding a job that fits you. How hard is it to get a recruiter to put everything in writing? I am nothing at this point to any company other than a number, so how would one use that to their advantage? We had a recruiter come by 2 weeks ago, did not have reimbursement, offered extra for recruiting and had two local trucks sitting for dedicated Lowes account. If the question is have you EVER been convicted of a DUI/DWI, I would answer yes, and put the dates. If you answer no, and they come up, you are screwed. Just be honest. 28 years is a long time ago! So I passed my CDL test with 40 days left of school, no complaints new class has already started so I get to pack a lunch and go for a six hour drive love it. We have recruiters coming in to give there spleal, been great. My question is this I went to do the application on TT to get it out to as many as possible, the question on DUI/DWI I had 2 infractions 28 years ago, for the past 10 years I've had one ticket. As for the DUI/DWI do I mark yes or no on the application, the school I'm in asked for a life time driving record, I'm not trying to hide it, it's out there, but if I do not have to talk about it I prefer not to. Now Who's Hiring? 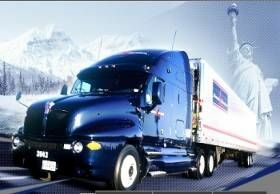 Is there such a thing as working outside of driving for a trucking company and also driving for the same company? I'm ready to start training to get my CDL but I would like to learn the business also Any help or advice how to do this? Where I'm located is in WV, Frederick Md, Hagerstown Md, and Winchester Va are all close by. I'm 53 6kids all either in college or military, years ago I drove for a county DOT 5 ton dump, and when I say years CDL's were just being put in place if I remember correctly. The only true driver I know was a patron of mine ( I'm a part owner of a sports bar) and I believe he is considered a regional driver gone Sunday night back home the following Thursday any how the job I'm in I took based on benefits, three of my kids are not mine by law, but they are my wife's, the company I'm with allowed me to carry them on my health insurance, the pay is o.k.. So for the last 13 years we've struggled like most or some(?) but I feel a change is due for the boss and myself. I know I enjoyed driving back in the day, even got to go through a Friday late afternoon break down waiting for a mechanic 230pm and I was suppose to be off at 3pm 1.5 away from the shop (sucked) I figure I still have another 15 left in me, OTR seems intriguing but as Pop use to say" your eyes are bigger than your stomach" Ha . To see the country, travel, you guys and gals got the life... Oh am I forgetting, would help if I could actually handle the driving part. So sitting in my office pondering, reaching out for advise.